One of the major advantage browsing internet on our cellular phone is The possibility to send short messaging service (sms) internationally, including India, UK, Australia, USA, Italy, Canada and many more. Most of the sms service provider I list below are free, meaning you can send a free text message from your computer or your mobile to a real telephone number in india. You need to register on Way2sms and you will get a 4 digit password on your mobile. Now whenever you want to use the service you need to use your mobile number as Username and 4 digit number as password. You can send 110 character messages. sms 2 india: Send Unlimited Free SMS to India without registration upto 500 characters Start Free SMS to india from your Computer without cost. 16by2 : To use 16by2 SMS service you need to follow the same procedure as of Way2sms. You can send around 50 SMS in a day and only 10 SMS to same person. Users are only allowed to send 80 character messages and other 80 characters are for Advertisers who append a contextual advertisement to your SMS. Yahoo Email International sms : Send Free sms from Yahoo Email to Vodaphone Essar, Airtel, Aircel, Spice, Escotel, Reliance, BPL, BSNL, IDEA, MTNL in canada. 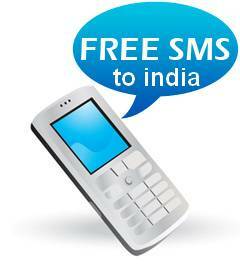 Way2SMS : Free SMS to any Mobile network in India.